The new product– called 4G Assure – is the first example of BT Enterprise’s new portfolio of products which will focus on the delivery of converged connectivity services to business customers. The launch is aligned with, and closely follows, the strategy updates provided by BT Group and its Consumer business, where convergence features prominently. Today’s launch sees BT provide small firms with a mobile broadband dongle to complement its existing Business Smart Hub. This provides a reliable back-up service with the hub automatically switching to 4G should a firm lose its fixed broadband connection, allowing businesses to avoid the inconvenience, productivity and financial impacts which can result from prolonged periods of broadband ‘downtime’. Such interruptions to a firm’s broadband service can happen for a variety of reasons, including network damage arising from bad weather, or as a result of third parties inadvertently cutting through cables, for example. BT has responded to this challenge by incorporating new technology into its latest hub which proactively detects whether a customer’s fixed broadband connection has been lost. If the hub detects an outage, it connects to the mobile broadband dongle to ensure the customer’s service switches to 4G, maintaining the internet connection. The hub will then monitor for the return of the fixed line broadband connection every few seconds and will automatically switch back to fixed broadband when the line becomes stable. If a broadband fault is detected, BT will know and will take action to proactively fix the fault, without the customer having to contact the company to request a fix. Crucially, for the many businesses which rely on static IP addresses to run their own websites, servers and connect remotely, 4G Assure is the first product of its kind to support static IP. What’s more, if new business broadband customers are keen to get online as soon as possible, once they have placed their order for 4G Assure, BT can dispatch their hub and 4G dongle the same day to allow for next working day connectivity. This allows new customers – whether they’re small firms setting up for the first time, or those switching broadband provider – to get online straightaway, rather than first having to wait for their fixed broadband line to be installed. 4G Assure will be included at no extra charge for those customers taking an Ultrafast, Infinity Premium or Broadband Premium business broadband package from BT. 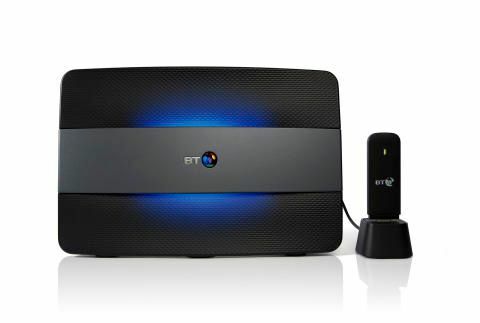 Customers who purchase BT’s standard business broadband packages can buy 4G Assure for an additional £8 per month. 4G Assure has been designed as a truly ‘plug and play’ product. To receive this back-up broadband service, all customers need do is plug their dongle into the docking station, which is then connected to the hub. 4G Assure is underpinned by BT’s Business Smart Hub, which boasts the UK’s most powerful Wi-Fi signal compared with other major UK broadband providers. The Hub’s ‘smart scan’ technology checks for interference and ensures that the strongest Wi-Fi connection is available to users at all times. Furthermore, SMEs benefit from access to BT’s 5 million Wi-Fi hotspots when on the move and travelling around the UK, while the BT Sport app allows them to view BT’s sports footage via their smartphone or tablet during their free time. Small firms taking a business broadband package from BT also benefit from business-grade security as a result of the company’s recent partnership with Symantec. Called BT Device Protection, this new service safeguards SMEs from rising levels of cyber-crime by protecting up to three devices per license, including PCs, laptops, smartphones and tablets, with daily updates to mitigate against new, emerging threats. It also includes a firewall and antivirus software to block malicious web traffic and malware, while anti-spyware protects against data theft. 4G Assure is the latest enhancement to BT’s suite of products offering a range of business-grade connectivity options for SMEs via standard and fibre broadband, as well as Ethernet. The product closely follows the launch of BT’s new Guest WiFi service announced last month, while the business has also made ultrafast fibre broadband based on Openreach’s G.fast technology – with top download speeds of up to 314Mbps – available to SMEs within a limited UK footprint, with plans to roll out further over time. [Only product of its kind to work over copper, fibre and with static IP.